Rochelle Riley Explains Detroit’s Bankruptcy – How Does It Impact the People? 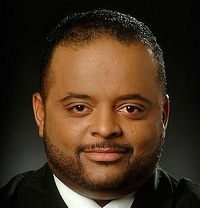 12/04/13- Roland Martin talks with Detroit Free Press writer Rochelle Riley about how Detroit’s bankruptcy impacts the citizens and whether or not the city will ever get back on its feet again. 18 billion in debt-Sell the city assets; pay pensioners first, raise sales tax. Never sell assets from a museum.